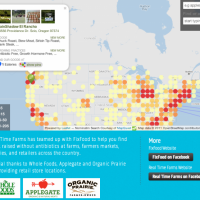 Earlier this week we reported on growing consumer demand for meat raised without antibiotics. 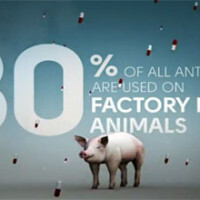 An overwhelming 72 percent of consumers are concerned about the agriculture industry’s widespread use of antibiotics creating new “superbugs,” or bacteria resistant to one or more antibiotics, according to a recent Consumers Union poll. 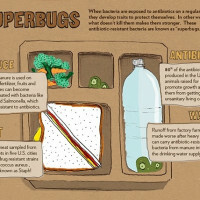 The following infographic from FixFood’s Meat Without Drugs campaign breaks down how “superbugs” travel from the farm to you.